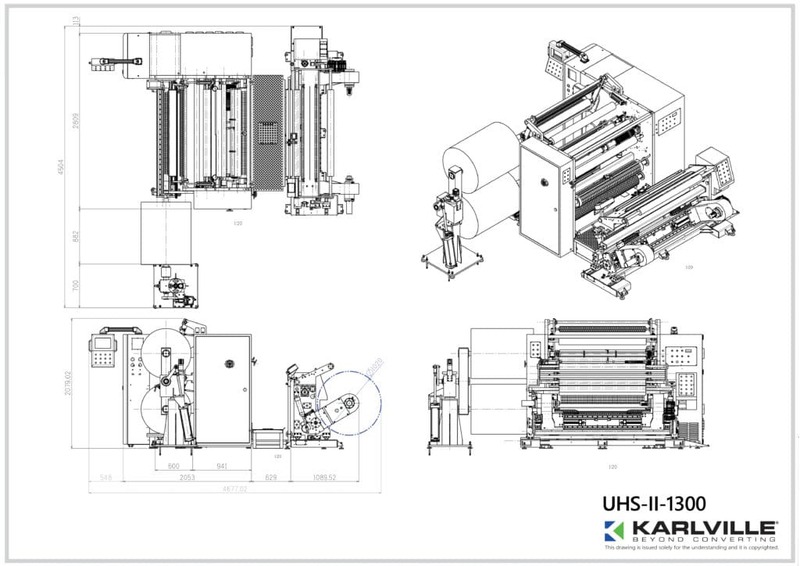 The outstanding and reliable UHS-II slitter rewinder is the result of executing the technology know-how gained by valuable experience. 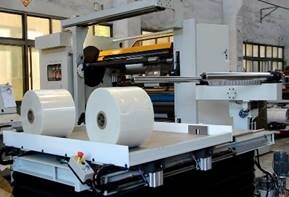 The UHS-II is ideal for high-end converting of flexible packaging materials. 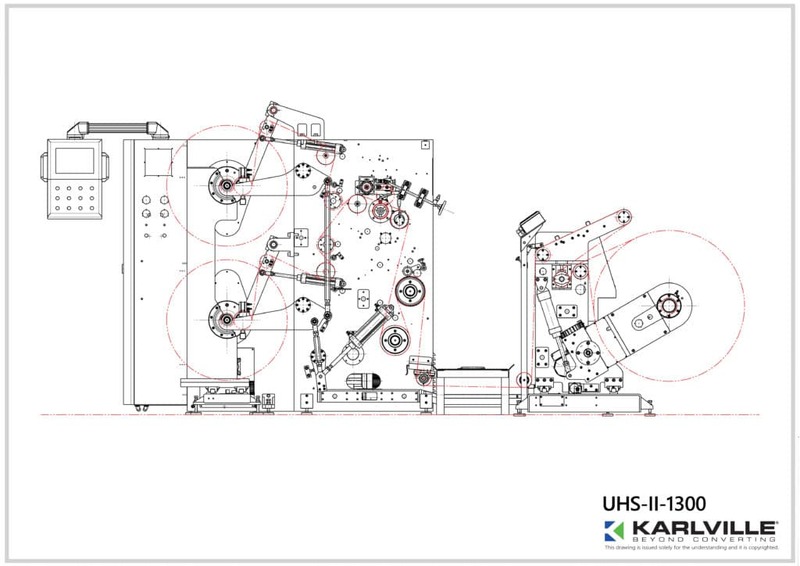 The standard UHS-II is supplied with razor slitting in groove or air. 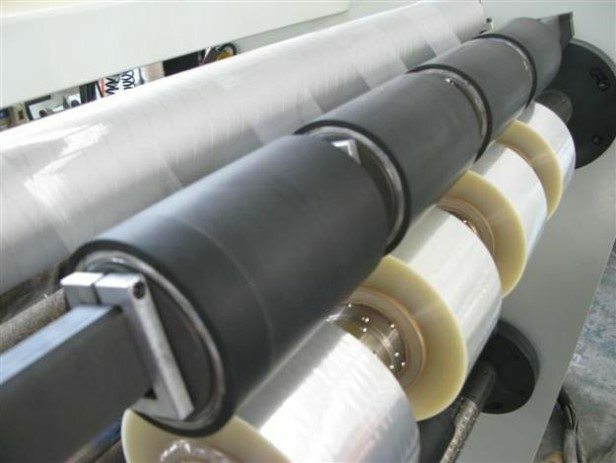 Optional shear slitting system is provided for heavier gauge flexible packaging, laminates, paper and pressure sensitive materials, either with manual or pneumatically operated knife holders. 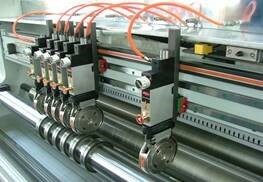 Automatic bottom knife positioning contributes to precise and safe slit width setting. Automatic tension control for unwind and rewind is a standard feature, selected from stored recipes depending on the product to be processed. 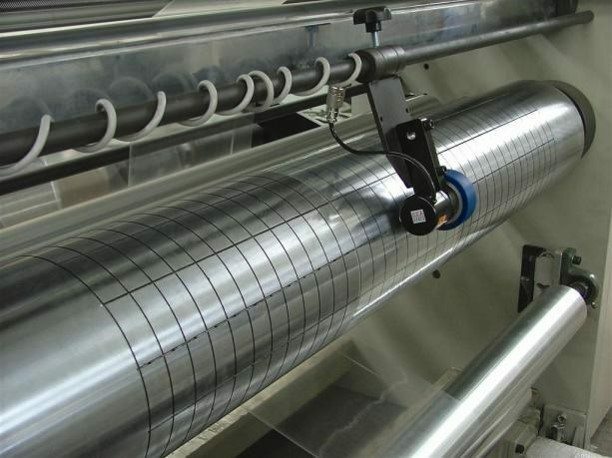 Based on the material type, distinct lay-on roller concepts, pivoting, pendulum or linear are offered to assure appropriate rewind roll density. 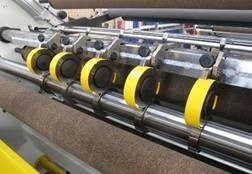 Differential rewind shafts with ball lock friction elements contribute to repeatedly wind quality finished rolls. 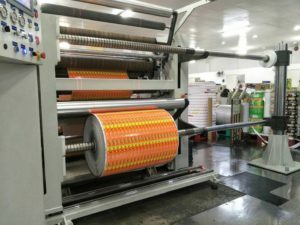 The integrated finished roll push-off devise transfers the rolls to an unloading stand, which is offered in various designs, depending on the selected finished roll handling concept. 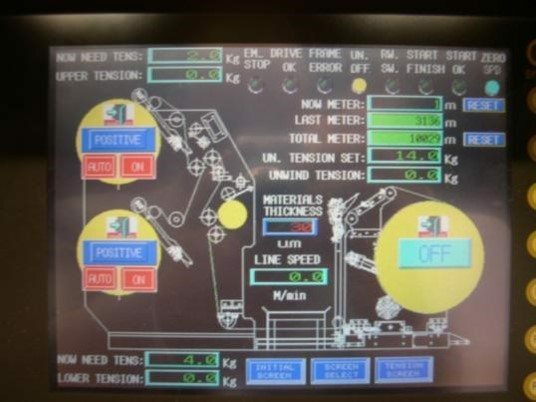 AC Vector Drives with Siemens PLC and HMI touch screen are customary. Loading and unloading features, semi or fully automatic, are available up to palletizing. Unwind roll cores 3” I.D. - 6” I.D. Manual and Automatic Roll Unloading Stands.